A valuable book for any guitarist. Part one presents a dictionary of essential chord forms shown by inversion. Part two features a very thorough analysis of chord melody and quartal harmony voicings in each key. Playing through part II will train your ear to improvise chordal melodies. Ideal for daily practice. 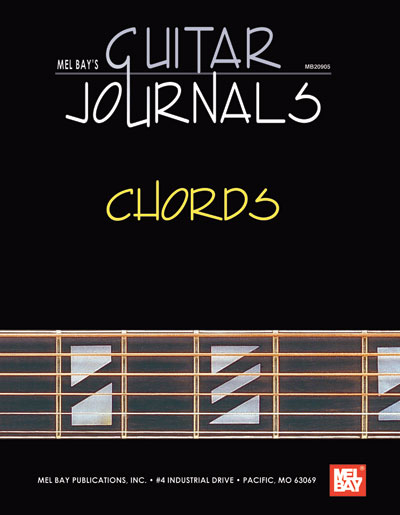 - Ultimate guide of chord studies and perfect reference manual for everyday use. - A comprehensive presentation of modern chord forms with analysis on how to use them effectively in contemporary music. - Presents chord types shown in various inversions. - Enable the guitarist to find appropriate yet innovative voicings for any chord in any position on the fingerboard. - Studies chord progressions in each key and enhances the guitarist’s ability to hear chord melody voicings in any key. - Improves the student’s rhythm and melody chord voicings. The best chord book I own and I own a lot of them.